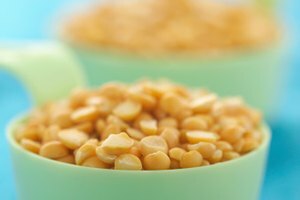 Navy beans are a healthy legume which derive their name from their popular use in the United States Navy during the 20th century. Prior to cooking them, clean and soak them. Place the beans on a dark-colored plate or towel and check for any foreign items or damaged beans. Be thorough here; you don't want anything except whole, undamaged beans. Using a sieve, rinse the beans under cool running water to clean completely. Rinse the beans thoroughly. Unlike other produce products, beans are not rinsed prior to their sale, so they are quite dirty. Pesticides and other harmful chemicals will remain on the surface of the beans unless you properly rinse them. Once finished with the rinse, there is no need to dry off the beans, as they are going to be placed immediately in water. Navy beans should be soaked in cool water for eight hours. For best results, use a large bowl or pan. You must refrigerate the beans while they soak, otherwise they will ferment. By soaking the beans prior to cooking, you will shorten the cooking time. Soaking the beans also removes many oligosaccharides, which are the complex and often times indigestible sugars that cause many of the discomforts commonly associated with bean consumption. 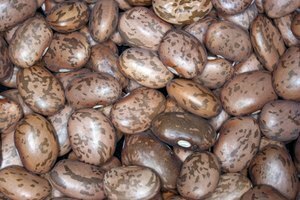 Perhaps most importantly, according to the United States Dry Bean Council, the shorter cooking time of soaked beans allows for the preservation of more nutrients. Rinse your soaked beans before cooking them; the water you used to soak them will be dirty. Do not, under any circumstances, cook the beans in the water you used to soak them. 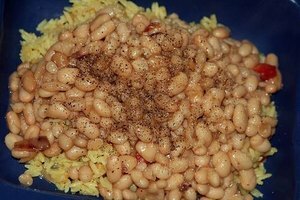 If you wish to shorten the time necessary for soaking the navy beans, you can first boil them. Simply add two cups of water to every one cup of beans to a pan and place on a stove top. Remove the beans and water from the stove after the water has boiled for two to three minutes. Now, you will only have to let the beans sit for two hours in the same water and they will be ready to cook. Again, use new water and rinse the beans when it is time to cook them. 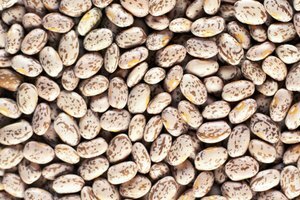 This method is actually better for the preservation of the key nutrients of most legumes, according to the California Dry Bean Advisory Board.